Dr Anna Gill, Head of Department of Paediatrics at Hornsby Ku-Ring-Gai Hospital and has been a Staff Specialist at Hornsby since 2004. Vicki Laing, GP Liaison Nurse: Child & Family Health for NSLHD. Vicki’s role includes a focus on facilitating information sharing, care planning and development of referral pathways to promote continuum of care for families between General Practice and Child & Family Health services. Click here for more information on services provided by the GP Liaison Nurse. Click here for information on referral pathways for children in out of home care. 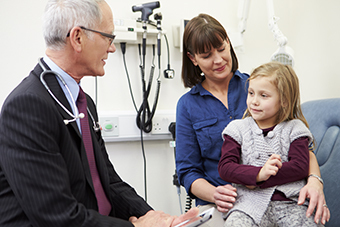 Click here for the recent article on the Northern Sydney Family Referral Service including a link to download the electronic GP referral form and how to import it into Best Practice or Medical Director.